An advanced pigmentation reducing facial cream to visibly brighten, smooth and even out skin. Anyone looking to fade dark spots, reduce appearance of skin discoloration & hyperpigmentation, while enhancing radiance and natural brightness of the skin. Aqua, potassium azeloyl, diglycinate, glyceryl stearate, PEG-100 stearate, trimethyl phenyl silsesquioxane, propylene glycol, cetostearyl alcohol, stearic acid, sodium ascorbyl phosphate, phytic acid. Use it as a night cream in my PM routine after cleansing and toning. Apply 6 dots of the cream on my face and neck. Massage it lightly into my skin in upward strokes. The glass bottle packaging with a silver pump dispenser looks luxe and attractive. Pump dispenser with a lid makes it spillage-free and convenient to use as well. It’s slightly yellow in color with a thick serum like texture. The cream is fast absorbing and ultra moisturizing. It has very light floral scent that sometimes feels like medicinal or herbaceous. But it’s too faint and fades away quickly after applying? How’s your experience of using Kaya Skin Clinic Pigmentation Reducing Complex? I’m tad in love with this product. But to be honest, the first time I used it, I was disappointed. I couldn’t see results. While, my overall complexion looked bright & radiant, there was no effect on my dark spots and pigmented patches. To begin with, I have quite a few stubborn dark spots and pigmentation marks on both sides of my face just below the eyes from old sun damage. 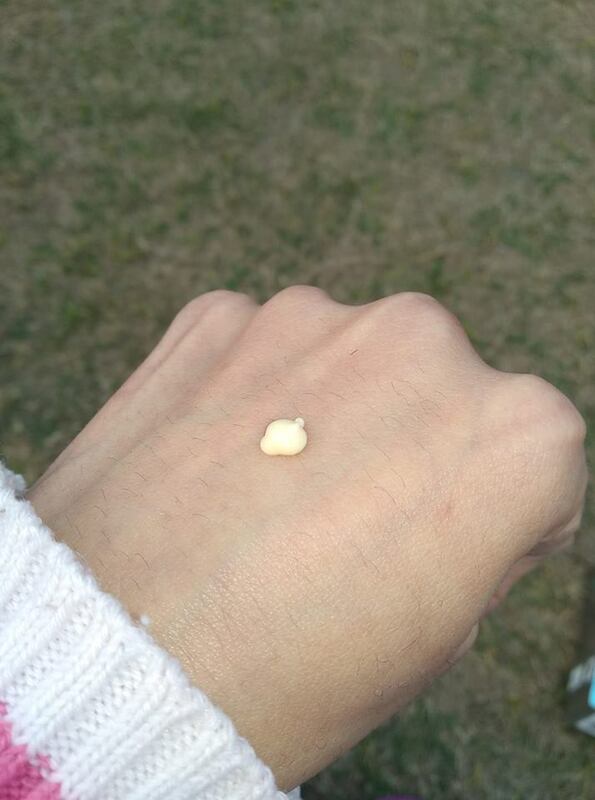 I was given this cream by the dermatologist at Kaya Skin Clinic Ludhiana, during one of my facial service sessions. This is my second bottle. The first one lasted me 3 months. I have a break of nearly 3-4 months between the two bottles. It usually takes about two weeks to see any visible change in pigmentation reduction but I saw positive results on my dark spots only after one full month of use. And after three months of using the cream diligently every night followed by my faithful sun protection during day time; I could say with confidence that my skin looked more evenly toned, my complexion looked brighter, and my pores seemed a little smaller! So the cream does work but it works slow. It’s one of those skincare superstars that work behind the curtain to give you flawless, even toned skin that lasts. It’s only after 4 months due to hours of sun worship in winter months that my pigmentation patches have made their reappearance and my Korean skincare, no matter how good it is for overall skin brightening wasn’t particularly working on these stubborn marks. And so I bought this second bottle for a more targeted treatment. Works slow. Changes in appearance of dark spots and pigmentation take a really long time to show. 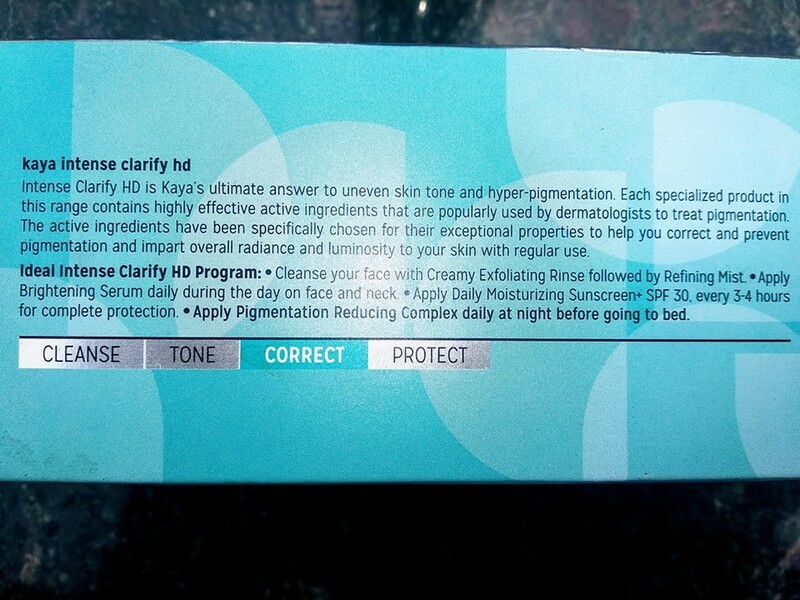 May not work that effectively for hormonal hyperpigmentation or melasma. 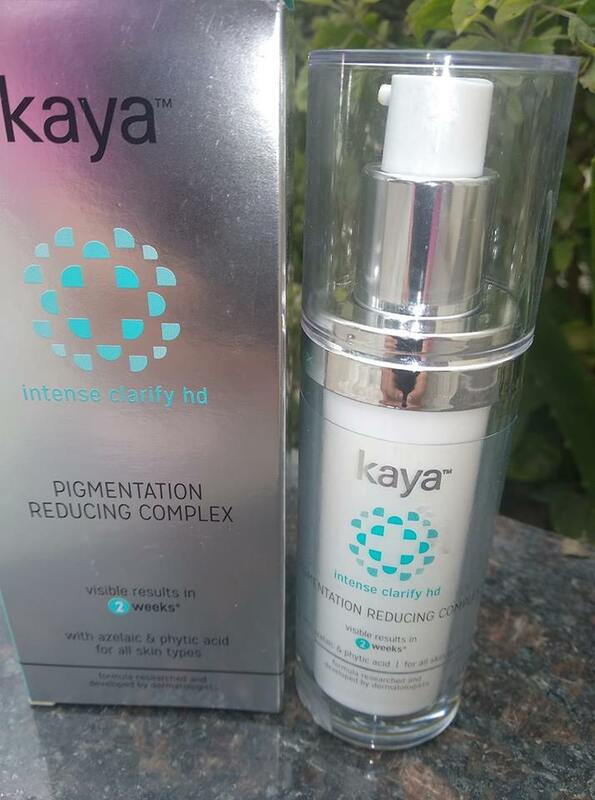 Kaya pigmentation reducing complex is a stand out product that definitely works on hyperpigmentation and changes your skin for the better. If you have uneven skin tone, minor pigmentation marks, dark spots or dark circles, this product is a must try.